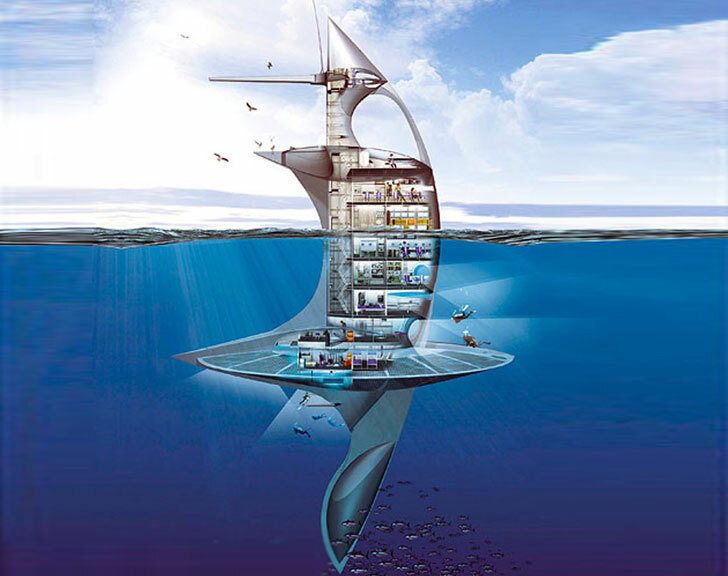 A few years ago, there were rumors that a futuristic oceanographic marine vessel would be constructed with the sole aim of exploring the world’s oceans. Known as The SeaOrbiter, it would serve as a scientific laboratory as scientists explore the places that cover two-thirds of our planet and contain 80 percent of all life on Earth — the oceans. Now it appears the dream is becoming a reality, as the SeaOrbiter team has announced that construction will begin by Spring next year! The SeaOrbiter concept has been discussed for over 12 years and has been dismissed on countless occasions as a pipe dream, but it seems like the project has gained traction and construction is rumored to start as soon as April 2014 – depending on how well its crowd funding campaign goes. It is also completely sustainable with the craft’s power coming from solar, wind and wave power. Although it is designed to drift with ocean currents, EADS, the European defense and space systems conglomerate, is said to be working on a biofuel that would serve as an alternative power source. In the past, Rougerie has said the SeaOrbiter would become an essential tool in exploring the world’s oceans and a useful base to study the link between global warming and the oceans, which absorb about a quarter of all carbon emissions. The project has also drawn support from former NASA Administrator Dan Goldin and the European Space Agency as well as other industrial organizations which are expected to help develop the vessel’s systems. It is no surprise that NASA is involved. The whole design and mission of the vessel makes the SeaOrbiter seem like a maritime version of the USS Enterprise! Are there similar Marine Research projects like this that are in the works that need funding and what are they? How is this thing re-supplied? Where could it dock? Could it survive a hurricane? Just some of the questions I have at this time. Funny, this thing is costing a few million for completely new technology and yet hundreds of millions will be spent on a single plane when our govt. has to go through our defense contractors. Amazing how much they rip off our govt. and since they fund all those Congressional campaigns nobody says a word to them. I have played with the concept for years, though this has many parts I had not thought of. With the mass deep under the waves it would be driven by currents, but the rise and fall of enough weight/buoyancy spread out over a flat surface and angled aft could provide tremendous driving power that would need little other assist. 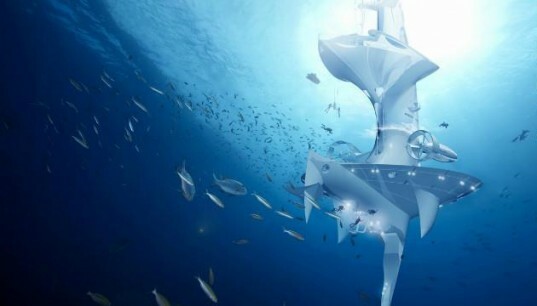 A few years ago, there were rumors that a futuristic oceanographic marine vessel would be constructed with the sole aim of exploring the world's oceans. Known as The SeaOrbiter, it would serve as a scientific laboratory as scientists explore the places that cover two-thirds of our planet and contain 80 percent of all life on Earth -- the oceans. Now it appears the dream is becoming a reality, as the SeaOrbiter team has announced that construction will begin by Spring next year!